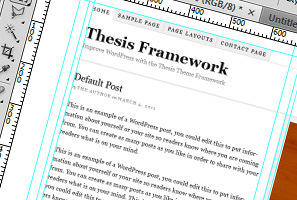 To continue on last week’s release, today’s freebie is a fully editable and smartly layered Thesis Theme PSD. This is a great resource for people working with Thesis on a regular basis. Today’s resource is a fully editable and cleanly layered Genesis layout PSD. 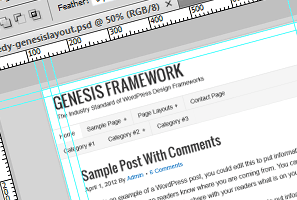 This is a must have if you work with or customize your own Genesis child themes. 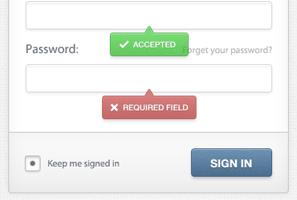 A clean sign in box PSD, complete with status tooltips and hover/active button states. Free layered PSD button set with multiple click states. 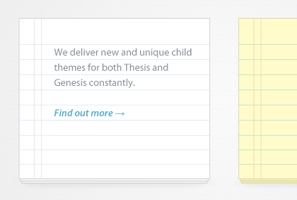 This week’s resource is a PSD with two variations of a stacked notepad. This graphic could be worked into a website as a widget or some sort of small call to action. Over 7+ years serving the Genesis community! © 2019 Themedy.com — A North East Studio Project — All Rights Reserved.